The NALA – Breakfast: for people who get up. The NALA is proud of its exquisite breakfast buffet. It takes place at the our NALA bar & restaurant from 06:30 to 12:00am (MO-FR). You can choose from our versions: Breakfast buffet (€ 16 per person) or the small Breakfast (MO-FR): croissant and hot drink for € 6 per person. Ideal for those who like to sleep longer is the long breakfast every Saturday, which we offer from 6.30 to 14.00. 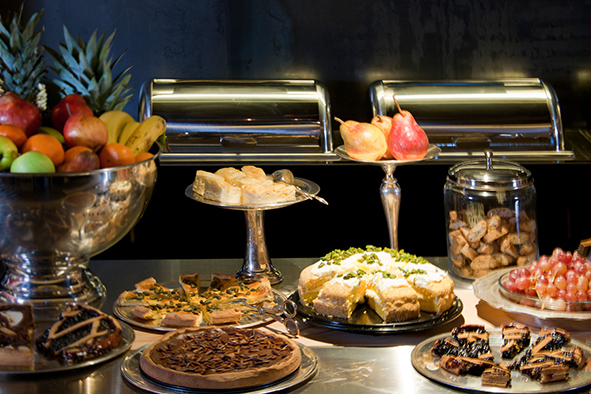 Exclusive on Sun- and holidays, we offer you our famous Sunday-breakfast instead of the breakfast buffet. Here you can enjoy our big buffet from 06.30 to 14:00 (€ 20 per person, € 25 for day-trippers). Please let us know, which one you would like to enjoy. Call us, or write us an E-Mail, it is up to you!